1.Automatic peanut oil cold pressed with Filter is mainly composed of feed hopper,pressing cage,screw shaft,grar box,frame and other parts. 2.Energy of Automatic peanut oil cold pressed with Filter is converted into heat energy, make the oil squeeze out gradually; oil cake is out from the rack. 4.Automatic peanut oil cold pressed with Filter with double bucket, and has the function of double filtering to extract the oil is clear, spiral. 3. You can call us or send email to us for any questions about Automatic peanut oil cold pressed with Filter,Shandong Leader Machinery Co.,Ltd. will reply you within 10 mins. 4. During the warranty of Automatic peanut oil cold pressed with Filter, if there is any problem about the components,Shandong Leader Machinery Co.,Ltd. will send you the components within 24 hours by International courier. Any peanut oil cold pressed with filter , please call me soon, Tel : 008615824871876! 1.When Peanut oil press machine with filter is on work, material enters the extruding chamber from the hopper and then moves forwards by the rotating pressing screw and is pressed. 6YL series spiral oil press is mainly composed of 7 major parts of screw axis, press cage, feed mechanism, cake yielding mechanism. transmission system, electric control part and vacuum filter part. All the parts are assembled on the frame and screwed as a whole. Packing : Packed by the protect film inner, water-repellent plastic outside. The wood packing is necessary if send by less than a container. it will fixed by steel rope in the container. Make sure it is in good condition when arrived destination. interested in peanut oil cold pressed with filter ? high quality Peanut oil press machine with filter, contact us please. Vegetable oil processing machine, please send me email about your requirement. 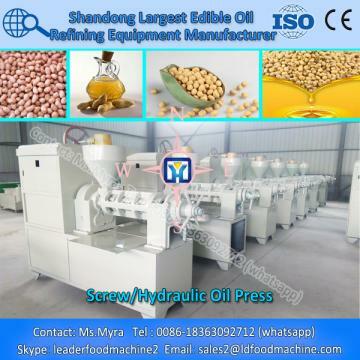 (Tel/whatsapp:0086-18363092712, Email:sales2@ldfoodmachine.com,Skype:leaderfoodmachine2).Welcome to send us your enquiry about capacity for Automatic peanut oil cold pressed with Filter, inform us raw material you want to use for Automatic peanut oil cold pressed with Filter,and specific requirements for Automatic peanut oil cold pressed with Filter.Shandong Leader Machinery Co.,Ltd. will provide you best solution for your project about Screw/Hydraulic Oil Press.